My desk and my mind are cleared of the clutter and busyness of life. The most amazing music is engulfing me, stirring my senses, and begging me to share its beauty and my joy with the world. What am I listening too? 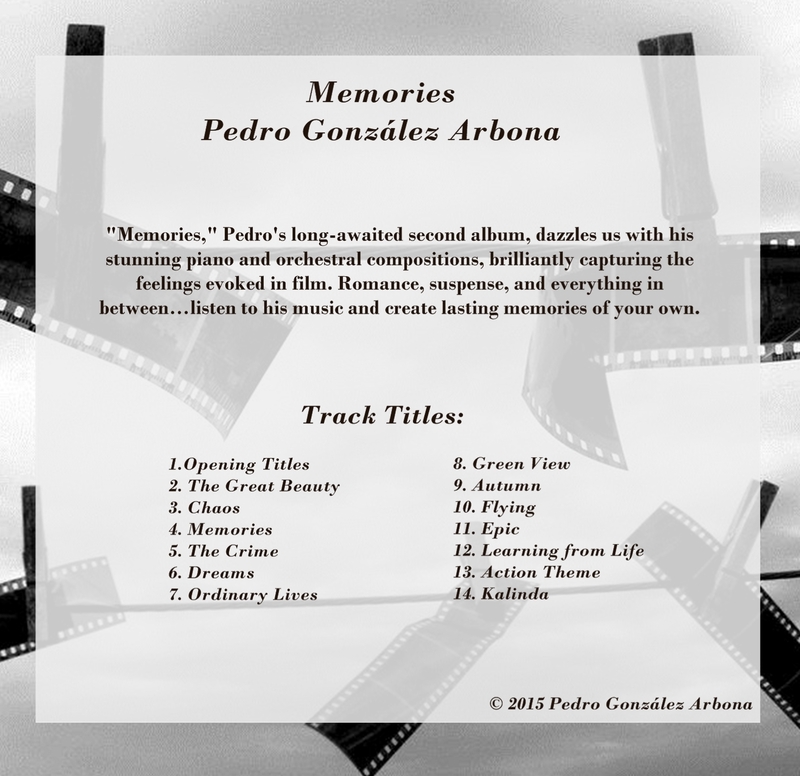 It is the new CD by my favorite musical protégé and composer, Pedro González Arbona. 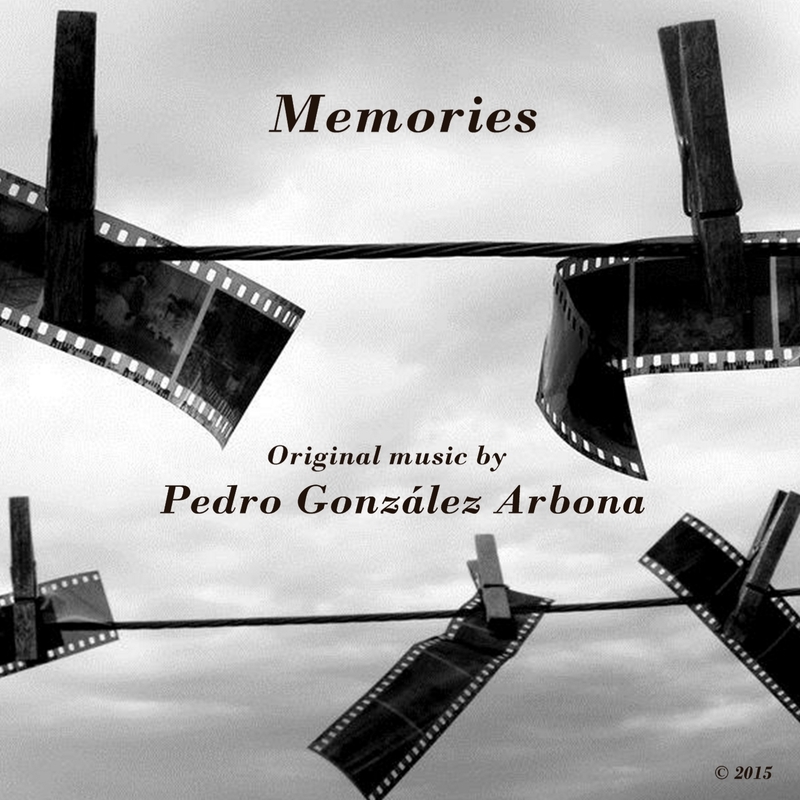 Memories is Pedro’s latest foray into the music and film scoring business. In the three years since Introducing Pedro González Arbona, his debut album, was released, Pedro’s music has grown by leaps and bounds. His first album was a collection of his earliest solo piano compositions performed on a Steinway Concert grand piano in a recording studio in Seattle. It was a gift for his 18th birthday while visiting from Madrid. It was a monumental day for us both. 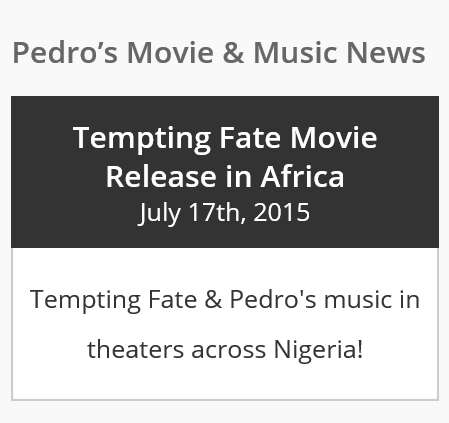 I’ve written a lot about Pedro’s love for music and how it was nurtured and inspired at an early age by cinema. Now his work has matured and blossomed into full orchestral music that rivals the likes of other famous film composers that he admires, like John Williams (Star Wars), Hans Zimmer (most recently Interstellar), and Alexandre Desplat, winner for Best Original Score for The Grand Budapest Hotel at this year’s Academy Awards. I don’t say this to boast, although it is hard for me to be impartial. I say this because, at Pedro’s request, I’ve been immersing myself in various film scores over these last few years as well. I hear the similarities and have been captivated by Pedro’s music. 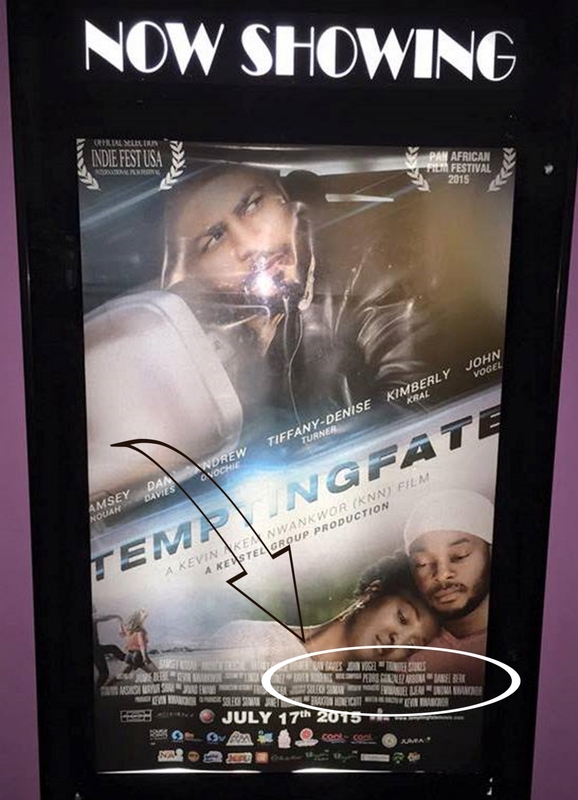 Not just listening to it, but also as I witnessed it on the big screen at the VIP screening of his movie Tempting Fate, last July in Houston. While I was in Madrid last fall, Pedro and I met over dinner one night to discuss his next CD project. On another night in Madrid, he played one of his newest songs for me, “Opening Titles.” He was fully engaged in the music, as if conducting the orchestra with an invisible baton. 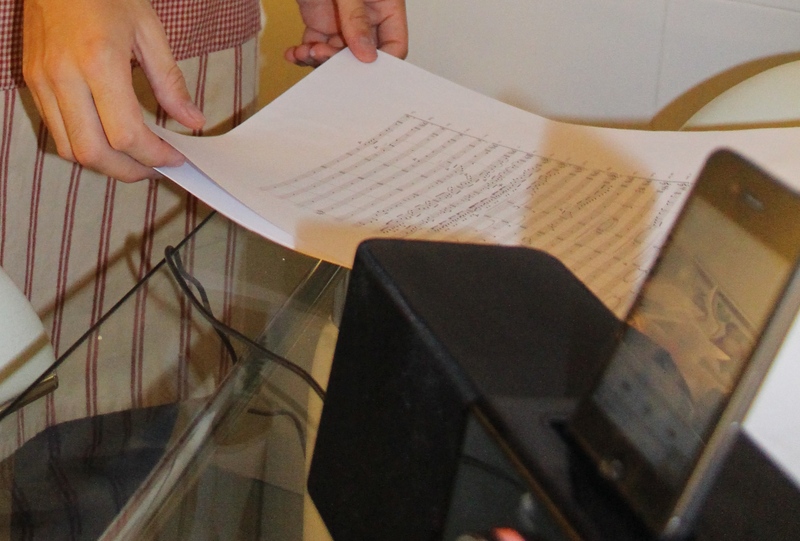 This was Pedro’s first orchestrated piece, complete with pages and pages of sheet music. Watching his delight in the final cut of this piece, and immersing myself in the music, was one of my best memories while on this trip to Spain. A proud moment in Madrid: “Opening Titles” plays through Pedro’s sound system as he reviews the sheet music. Although we collaborated in the production of the CD, it is truly his project from start to finish. He designed the album cover, titled the album, and naturally, composed the music. I brought his vision to completion by working in America with our music distributor, CD Baby. They make worldwide sales and distribution via iTunes, Amazon, Spotify, and other internet music sites easy for any artist. Pedro’s album cover design (above) conjures up feelings of old time movies, before the age of digital technology, with strips of film negatives pinned to a clothesline. Which scenes will make the final cut of the movie? Which songs will make the final cut of the CD? It was a difficult process to select the final 14 songs for this CD. The music was mostly composed over the last year during a period of prolific musical and artistic inspiration. I received some of the songs along his composing process. I’ve collected a large archive of his music over the past four years from his various film and internet projects or impromptu personal musical inspirations. 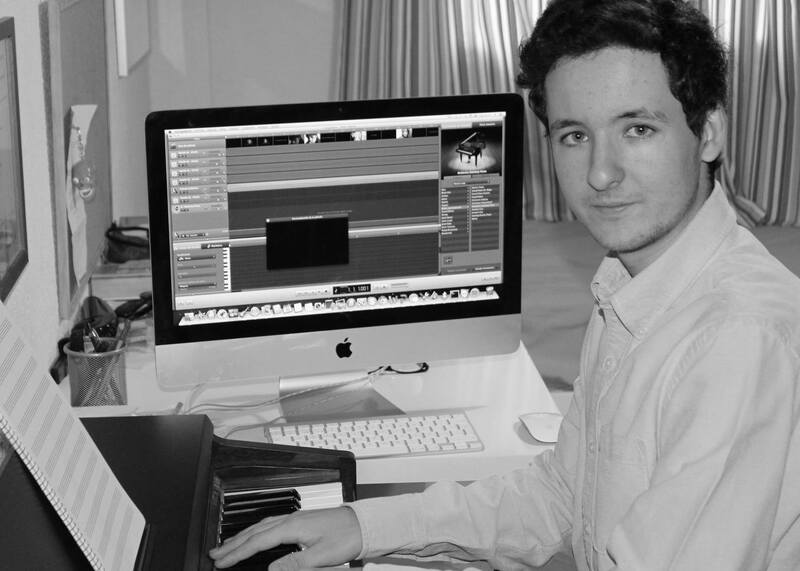 Pedro also collaborated with orchestrators (credited as ‘featuring’ in the track titles) to provide the professional sound quality and feel to his music. The final 14 songs showcase the variety of Pedro’s music composing ability. The easiest way for me to describe this album is to say that even though it was not written for a specific movie or movie scenes, it is just like a soundtrack. The songs conjure up a wide breadth of emotions that are commonly experienced in a movie: romance, suspense, action, drama, mystery. You’ll be hooked after the first song! I certainly was. So in my next post about Memories, I will take you on a behind the scenes musical adventure through his latest album. Until then, you can preview one of my favorite songs “The Great Beauty” on Soundcloud or by selecting the song on the media player in the right sidebar on this page. 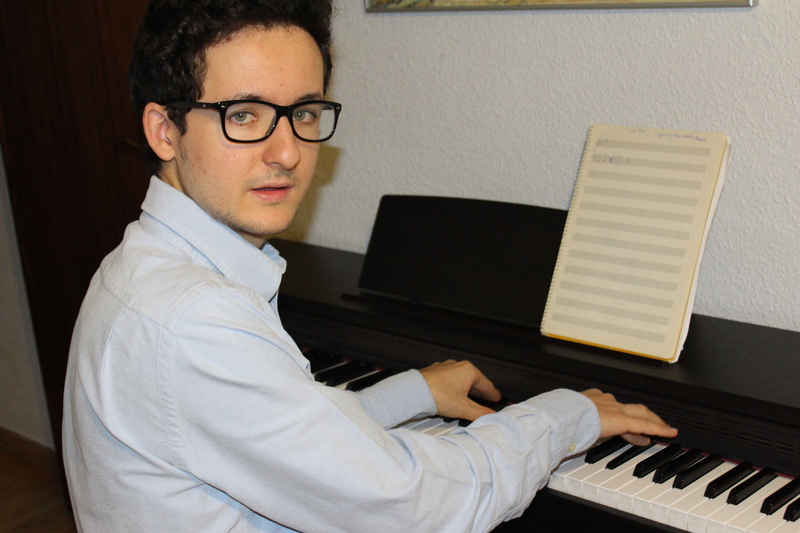 You can show your support for this young artist’s music career by liking his page on Facebook, Pedro González Arbona, composer. 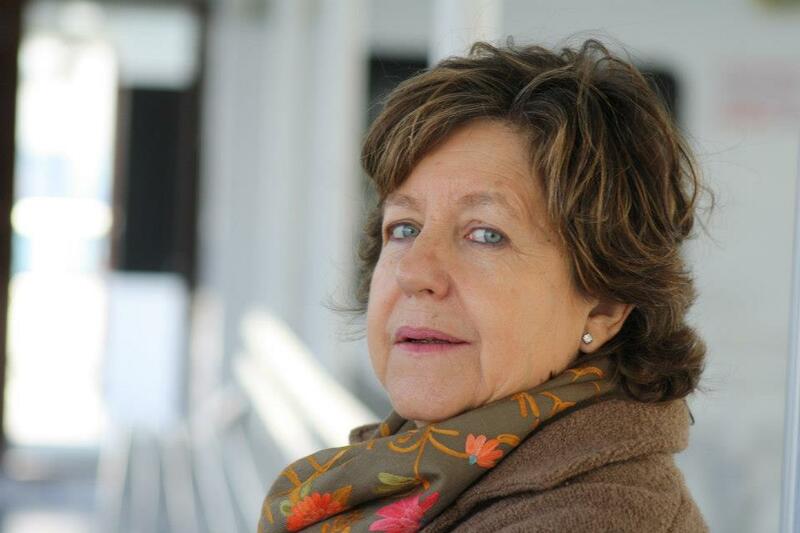 While God was transforming and healing me with my mother’s passing in 2011, He was also giving me a connection with a family in Spain. Our families met the year before through a short term summer exchange program when their son, Pedro, stayed with us. Pedro’s grandmother was also diagnosed with a terminal illness and only had a few months to live. So Rosa, Pedro’s mother, and I ministered to each other through the painful process of preparing for our mother’s passing. Neither Rosa nor I spoke each other’s native language, but we used an online translator to send emails to each other. Occasionally, Pedro would fill in the gaps or translate on a Skype call. Our letters back and forth were beautiful gestures from the heart and proof that with God there are no barriers that cannot be overcome. Each time I gave to Rosa, I also received from her and vice versa. It was very comforting and healing. Early on in this relationship with Rosa, Pedro also took steps to deepen the connection between our families. In January 2011, Pedro sent us a link to a YouTube video of ‘Seattle’ a song he composed and dedicated to our family. It was an amazing gift of kindness and gratitude. Over the next few months, Pedro sent more original piano compositions. 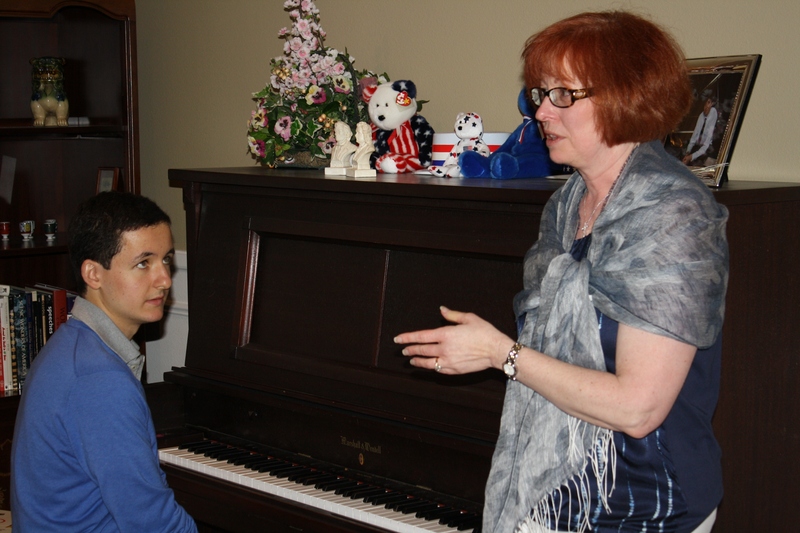 We were astonished by this young man’s talent and oblivious to the fact that he had played several of his compositions in our home the previous summer. The more Pedro sent his songs to us, the more I toyed with the idea of recording his music. And so for Pedro’s 18th birthday, when he was in Seattle, I took him into a recording studio to produce his first CD. That day was very memorable. I did a photo shoot of Pedro in the studio for his CD cover, artist photos, etc. I video recorded several of his songs as he performed in the studio. Those videos are on youtube.com. Then we spent several hours with the music engineer editing the songs. We left the studio with a fantastic master recording of 13 songs from his prepared playlist. As soon as we got in the car, we popped the master into the CD player. Pedro was in disbelief—smiling ear to ear—as he listened in sheer delight to his music kiss the speakers and fill the car. In the days that followed we created all the CD content, labels, burned disks, etc. and mass produced 50 CDs for friends and family in Spain. The first printing of the Spanish CD was titled, ‘Compositions of Pedro González Arbona’. An English version of the CD soon followed with the title ‘Introducing Pedro González Arbona’. After all, I’m betting this won’t be this young man’s only album. 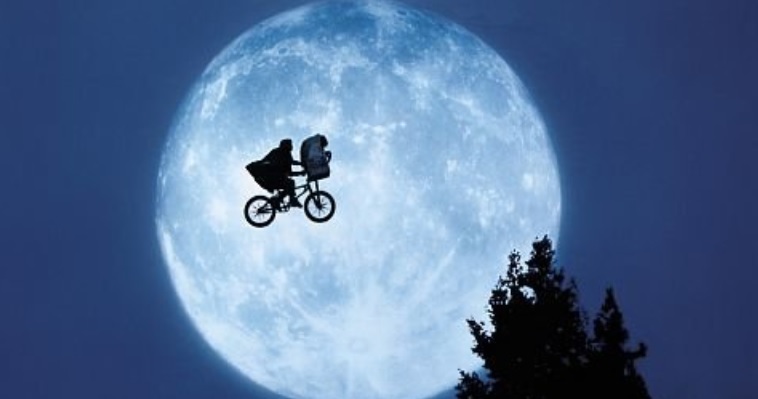 Pedro’s music is mostly inspired by cinema and soundtrack composers like Hans Zimmer and John Williams. He dreams of scoring a motion picture soundtrack someday. After Pedro returned to Spain, I pursued having his music set up for online sales and digital downloads. Months earlier, Pedro had affectionately started calling me his ‘manager’, but now it is a role I take more seriously. I used my love for writing to create Pedro’s website copy and worked with Pedro on edits and Spanish translations as well. By Christmas 2011, Pedro’s music was available on itunes,Amazon, Zune, and various other music sites. He now has a Facebook artist page and his music can be purchased through his Facebook store as well. Physical copies of his CD are available on CDbaby.com. So 2011 really was a year to remember for me. Although it started with the passing of my mother, it ended with the expansion of my family and some radical ‘career’ changes that I never would’ve anticipated. After some of my first published devotionals, one of my friends told me I found my calling. Those were precious words to me. I hope and pray that is true, because now that I’ve been writing this past year, I can’t imagine not doing it. I cannot not write. In the case of Pedro’s music, I ‘manage’ his American music endeavors out of love for him and his music. Pedro is like a son to me and his mother is like a sister (which probably makes me more like an aunt). I am Pedro’s #1 American fan so it is only natural that I would do this for him. Someday the proceeds will be enough to buy the long-awaited ticket to Spain to meet Rosa face to face. That trip will be the trip of a lifetime for me as I plan to write about their amazing country and more of the story that has brought our families together. That will be a year to remember too. Will it be 2012? Only God knows. I’m waiting for His answer. 1/23/2013 Update: Tickets purchased. I will finally meet Rosa face to face on June 24, 2013. 6/24/2013 Update: Read about meeting Rosa and my travels to Spain starting with España Update 1: The Longest Day. Those who know me well know that I have undergone some dramatic changes in my life over the last year. It all started with the opening up of our home to an exchange student from Spain in July 2010, Pedro Gonzalez Arbona. Pedro and his parents are like family to us now. Even though his mother Rosa does not speak English, we are like sisters. We have gotten to know each other very well over this past year as we communicated via online translators. We have both had a difficult year with the passing of our mothers. But God was merciful to us as we were able to comfort and encourage each other in preparation for the inevitable. He blessed us with some miraculous healing as our mothers entered eternity just three weeks apart. Another one of the ways that our families connected is through our love of music. Pedro was initially placed in our home because he plays the piano. What we didn’t know at the time was that Pedro was actually a budding composer. In fact when he played his music in our home that first summer, he played some of those pieces, but didn’t let on that he had composed them. Six months after Pedro left, he sent us a link to a youtube video for a song he composed, “Seattle“, and dedicated it to our family. This was the first clue we had to this young man’s talent. Over the next few months, Pedro continued to compose new songs and sent them to us. Each time he did, I became more and more convinced that his music needed to be shared with a broader audience. 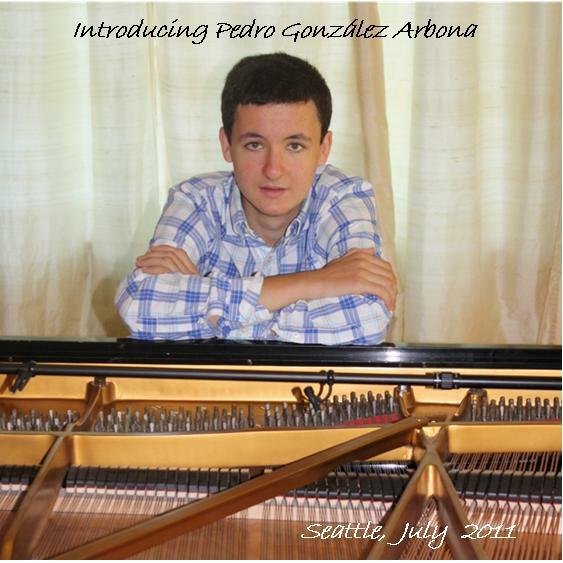 When Pedro returned to Seattle this past summer, in celebration of his 18th birthday, we took him to a recording studio to produce his first CD, ‘Introducing Pedro Gonzalez Arbona.’ We recorded 13 of his 18 original compositions. Pedro’s songs are inspired by the events and travels in his life. They range from beautiful melodies based on his travels to Rome and Paris to songs that celebrate and memorialize some of the key milestones in his life thus far—from the painful reality of losing 10 teachers from his school after the Al Qaeda train bombing in Madrid when he was 11 to the joyful completion of his university entrance exams at 17 this past June. Pedro is also an avid cinema buff—American and European—and his music definitely reflects that as well. His favorite composer is Hans Zimmer who composed soundtracks to such major motion pictures as Inception, The Lion King, Sherlock Holmes and the Pirates of the Caribbean movies. Pedro recently got noticed by Hans Zimmer through the aid of twitter after Pedro sent him a link to one of his compositions, “Portman.” Hans Zimmer responded that the piece had a beautiful melody and that Pedro had a future in composing scores. That is high praise for any musician to receive let alone an 18-year-old who is just starting out. As Pedro’s ‘American manager’, a term he jokingly coined for me, I am inviting my friends and family to give your ears (and eyes) a treat by viewing and listening to some of Pedro’s music on youtube.com. (Do a search on his name or click on one of the above links.) If you like it, please share the link on your Facebook page. His CD is now available for purchase also. Soon it will be on itunes, Spotify and Amazon to download as well. The CD cost is $12.50 for one or two for $20, plus $5 shipping, if necessary. To purchase a copy of his CD, you can contact me directly or email ardis@pgarbona.com. I never imagined I’d be going down this road in my life. I never imagined I’d have family in Spain either. I was pretty content in my own little corner of the world. But the events of this past year have been a testimony to God’s healing and mercy if we surrender to His will. It is proof that there are no geographical, language, religious or cultural barriers that God cannot break down. For me all it took was accepting the invitation to open our home to a young man from Spain and choosing to invest in him and his family. What about you? Where is God calling you to invest in someone or stretch yourself outside of your comfort zone? You’ll never know the opportunities that await you unless you take those bold steps of faith and follow His will. 5/1/2012 Update: Pedro’s music is now available online through itunes, Amazon.com, Zune, Spotify and various other music websites. His music can also be downloaded through his Facebook Store. Physical CDs can be purchased at CDBaby.com. 8/3/2014 Update: I visited Spain and met Rosa in the summer of 2013. It was the trip of a lifetime, 6 weeks on a reciprocal sort of exchange program. You can read about my travels starting here. Pedro and I devoted many hours to his musical projects while I was there. Hans Zimmer was right about Pedro. 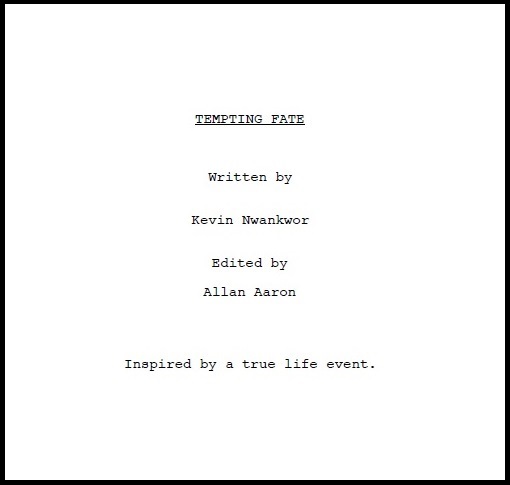 He has gone on to compose for several movie projects including his latest American film score to Tempting Fate. You can find out more about the music of Pedro Gonzalez Arbona on The Music pages on my site, check out pgarbona.com, or like his Facebook page, Pedro Gonzalez Arbona, Composer. 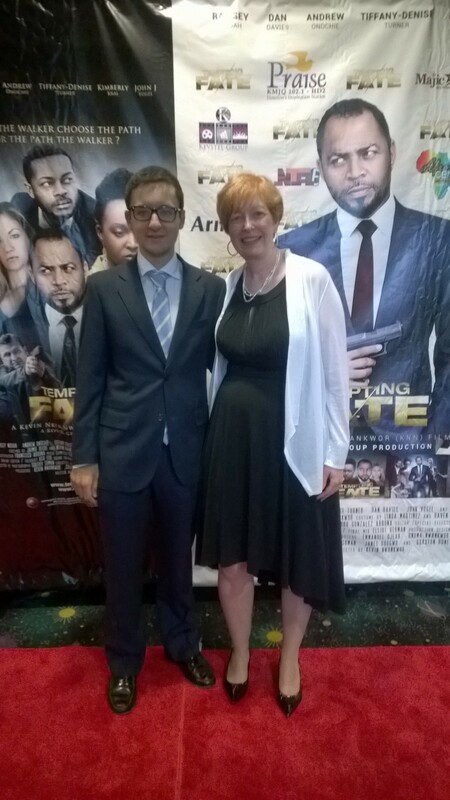 On the red carpet with Pedro at the premiere of “Tempting Fate”, July 2014.